Exodus is the most supernatural book in the Hebrew bible. But it is also the climax, the pinnacle of Israel’s story. All roads in the Torah either lead to the Exodus or link back to the Exodus. Before earth-shaking plagues and parting seas, however, the patriarchs learned of God’s covenant promises through quiet acts like night-time wrestling, star gazing, and angelic visitations. The quiet acts may have been enough to prod the conscious of those sensible to matters of faith like Abraham, Isaac, and Jacob. The unbreakable imperial Egyptians, on the other hand, required unprecedented signs and punishments that go beyond the explainable. Still, in all of this, God did not open up the heavens and directly order Pharaoh to let his people go. That message was repeatedly given only through Moses, the intermediary chosen by God. Unlike God’s selection of Abraham, who the Bible gives no backstory, we know why Moses was chosen. 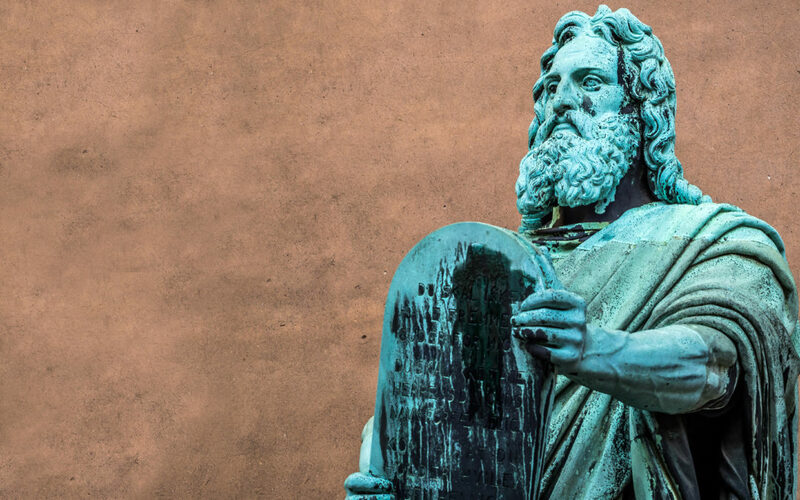 Exodus selects specific moments in the Moses biography to present his resume. One key point shines through: Moses was a defender of justice. His every instinct pushed him to fight against oppression. Three times we witness him intervening on the part of the weak. First, Moses avenged the death of a Hebrew slave by killing the guilty slave master. When he fled to Midian to escape Pharaoh’s retaliation, he defended Jethro’s daughters against greedy shepherds. Moses apparently does not only intervene on behalf of Hebrews, but he stands up to bullies in defense of non-Hebrews as well. Only two chapters into Exodus, Moses checked all the boxes for God’s chosen messenger: defender of the weak and friend of the slave. In short, Moses was a revolutionary. And their lies the last reason for Moses’s divine selection. He was a Hebrew. But he was raised in the house of Pharaoh. He never tasted the bitterness of slavery. His spirit was not killed by oppression so he retained the will to fight it. Rabbi Joseph Telushkin says that because Moses was never a slave, he had a different self-image than his kinsmen. It would take the rest of his Hebrew brothers forty years to shake the slave mentality and see themselves as a free people. Shelley Neese is president of the Jerusalem Connection and author of The Copper Scroll Project.